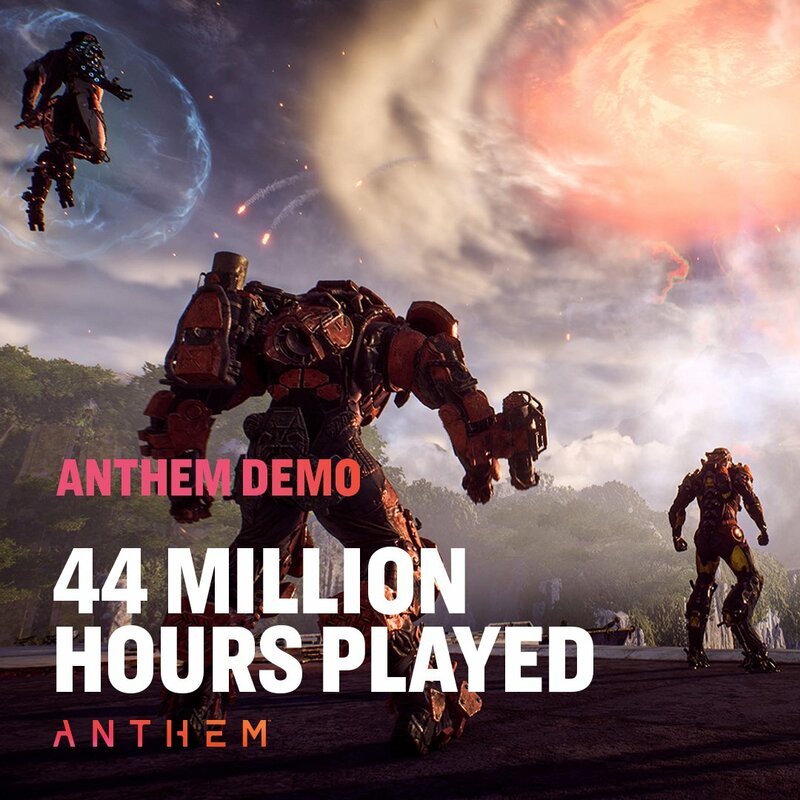 Anthem's demo is over and it seems that it was a huge success, with BioWare confirming that 44 million hours were played in total. The demo was played a lot but reception has been mixed. With notorious Youtubers and media outlets expressing mediocre criticism about the game. The biggest problem has been the technical problems with the demo, which will likely be fixed before the game's launch. EA is expecting Anthem to perform well when it launches, with 5-6 million copies expected to ship by the end of March, which is insane considering the competition. However, judging from the number of hours played in the timed demo perhaps EA can hit about half that number. It'll be a disappointment by EA standards though similar to Battlefield V's 7.3 million sales.